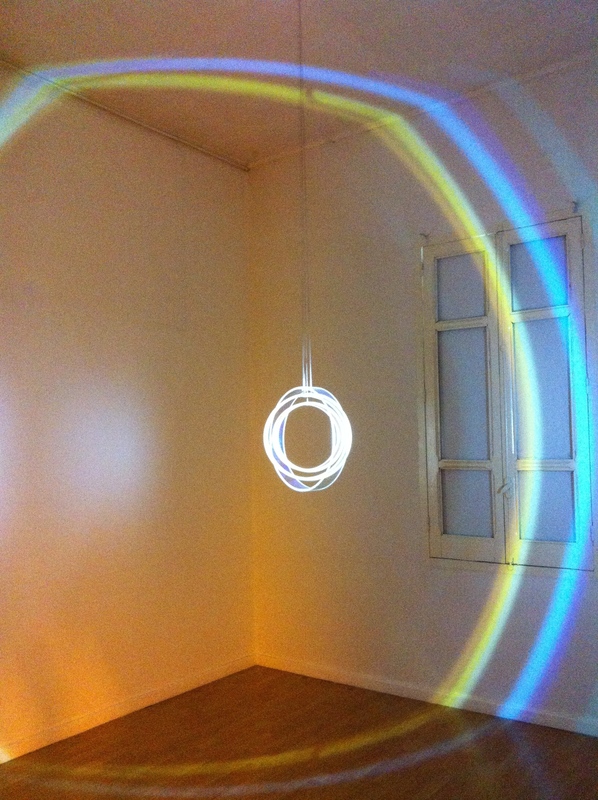 What a great opportunity to have Olafur Eliasson’s work exhibited in Addis for the first time ever! The Danish artist Eliasson needs no introduction, he is a very established international artist, known for his installations using light and visual effects and shown in the best contemporary spaces around the World. Now in his 40s, he came to international fame in 2003 when he designed the Weather Project, a giant artificial sun in the Turbine Hall of Tate Modern in London. The installation was part of the Unilever series organised each year by the famous contemporary museum. During the six months of the project, some two million visitors came to worship his sunlight, sitting on the gallery floor and staying there for hours, as well as breaking the statistics in terms of popularity and museum entries. He also created large public space work such as the New York City Waterfalls, a giant waterfall in New York harbour commissioned by the American non-profit organisation, the Public Art Fund in 2008. He was also chosen to represent Denmark at the 2003 Venice Biennale. With Ethiopia, he has a special relationship. His children were adopted in Addis Ababa and about ten years ago, he established a foundation to renovate an orphanage for which he used proceeds from his private and sponsored work. More recently, he started getting involved with the Ale School of Fine Art and Design in Addis Ababa, where he started to teach and act as a mentor for young Ethiopian students. 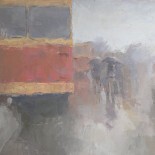 His new work exhibited at the Gebre Kristos Desta contemporary Museum in Siddist kilo in Addis is that of a very accomplished artist. 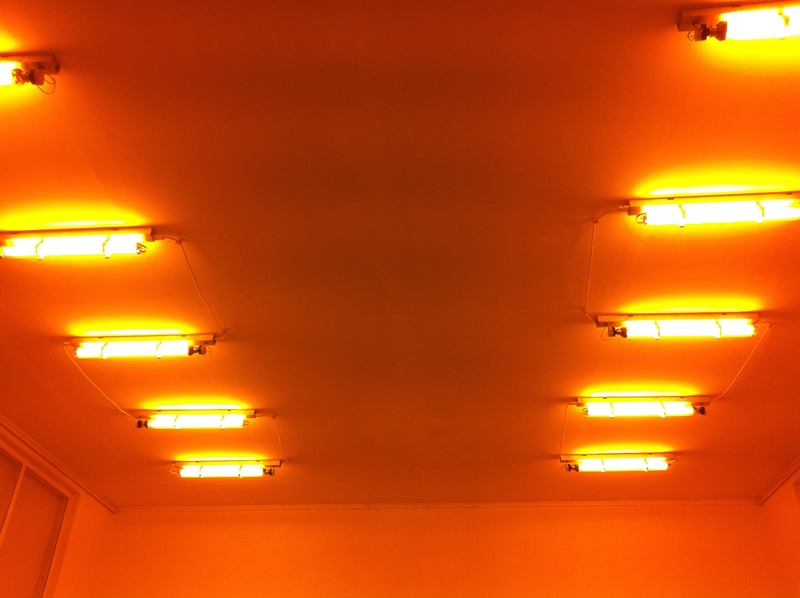 The trademark neon sunlight from the Weather Project in London is back under a different form: some ten neons on the ceiling of the first exhibition room, which have a blinding effect on entering and immediately take the visitors into the space. In another room, he used traditional baskets woven by a community in lake Ziway, as part of a reflective installation. The semi-circular baskets are fixed onto a mirror to give the illusion of a full circle. For most pieces he used globe shapes and mirror to produce a visual effect. In another installation, he used a projecting light onto a mobile to create peaceful and serene shapes slowly flying over the surrounding wall. The exhibition is open every day until 15 April. You just made my plan for next week, is it open after work hours? You captured the exhibition beautifully. My 9 year old son was entranced! 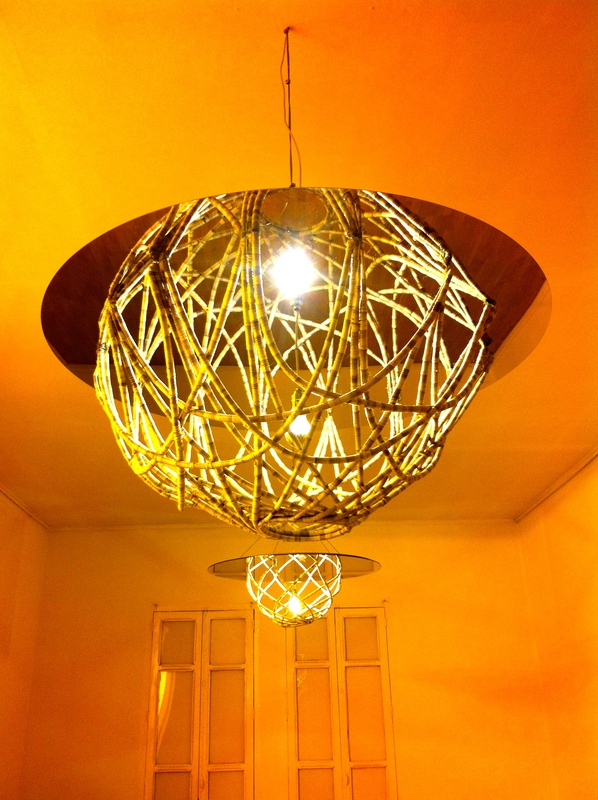 This entry was posted on February 28, 2015 by Salambo in Living in Addis, People of Addis and tagged AA School of Art, AA University, Addis Ababa, Ale School of Fine art and design, Ethiopia, Gebre Kristos Desta Museum, goethe institute, Olafur Eliasson.